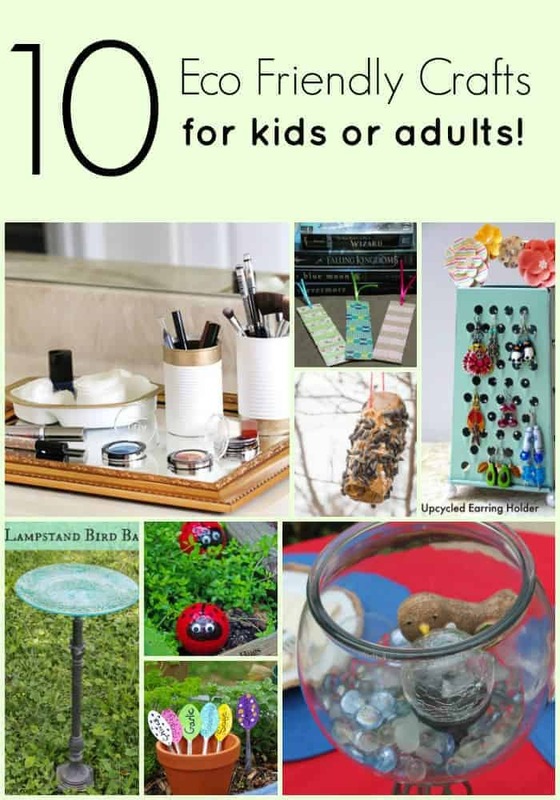 You are here: Home / DIY / Crafts / 10 Eco Friendly Craft Projects for Kids and Adults! When my kids were young, they LOVED arts and crafts. I was always trying to find eco friendly craft projects for them to do and kept the art closet well stocked. To this day, I still have tin cans, bottle caps, scraps of material and an assortment of other ‘used’ items in there in case a class project comes up. Or for those moments when something on Pinterest just grabs my attention and screams out at me to get my glue gun. With Earth Day right around the corner, I thought I would put together a collection of eco friendly craft projects from my own blogs as well as from a few of my favorite blogger friends. Keep in mind that every single day should be Earth Day! Show your children how easy it is to turn something old into something new and beautiful. 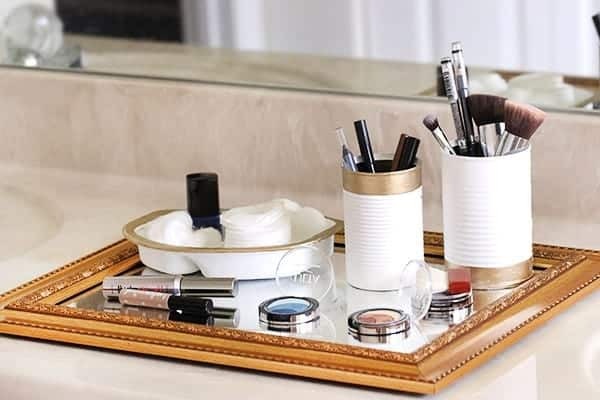 Grab your glue gun and create something new for your home that you might otherwise throw away. There are a ton of ways for kids and adults to reduce their carbon footprint just by being crafty! Depending on age and skill level, please make sure you supervise kids while crafting. Glue guns can be evil! Some of these crafts are strictly for adults but I have found that crafting can be very relaxing. At least when my glue gun is cooperating! 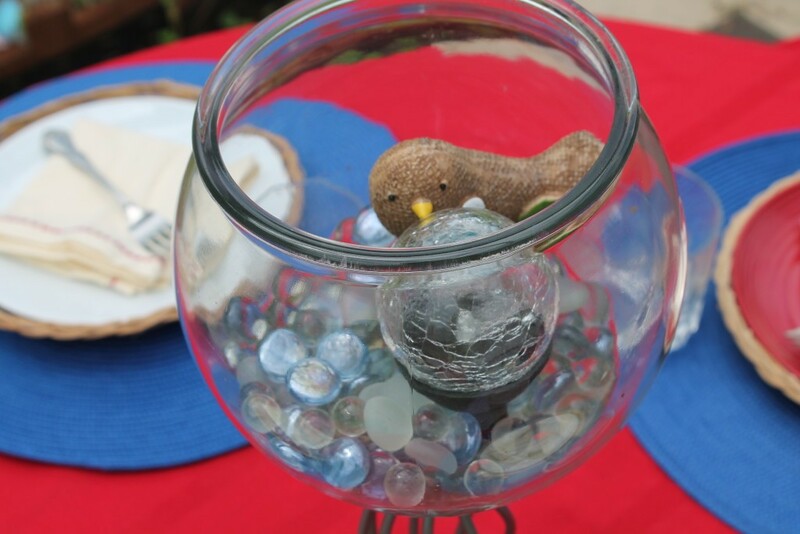 Check out this beautiful DIY Lampstand Bird Bath from Simply Southern Mom. 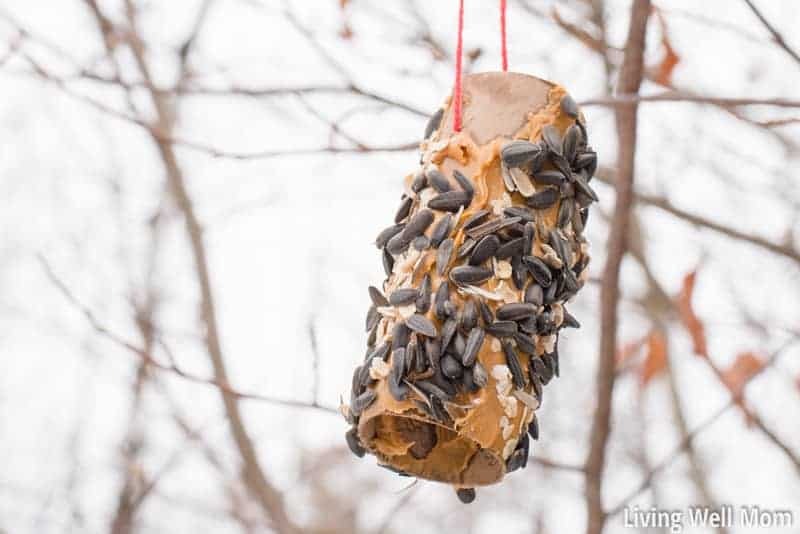 Great way to attract birds to your yard! This next one is a classic and very easy and fun for kids! Have a golfer in your house and need to upcycle some golf balls? 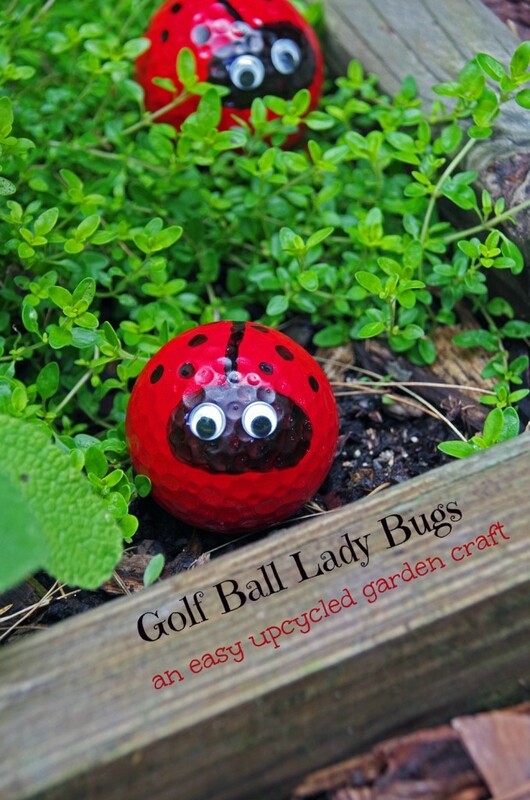 Make this cute lady bug craft for your garden! Have a lot of dangly earrings at home? 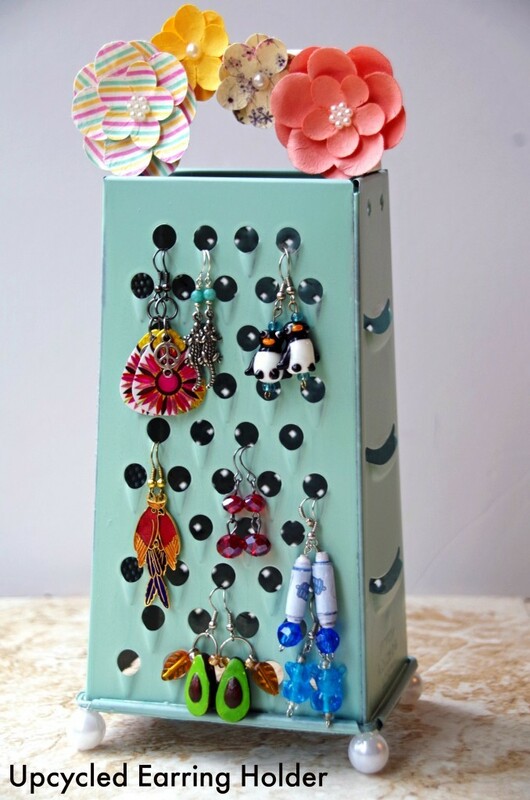 Make this DIY Earing Holder out of an old cheese grater! Kids love projects with googly eyes, right? 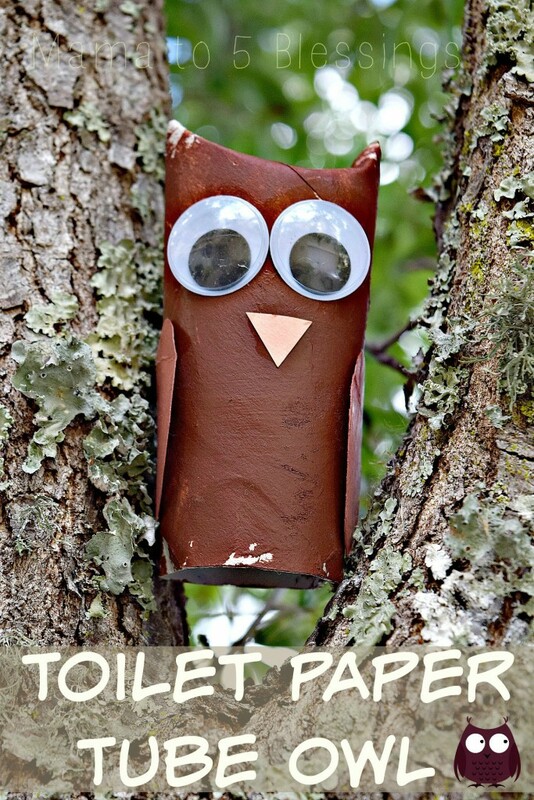 Have them make this cute upcycled owl craft from Mama to 5 Blessings! 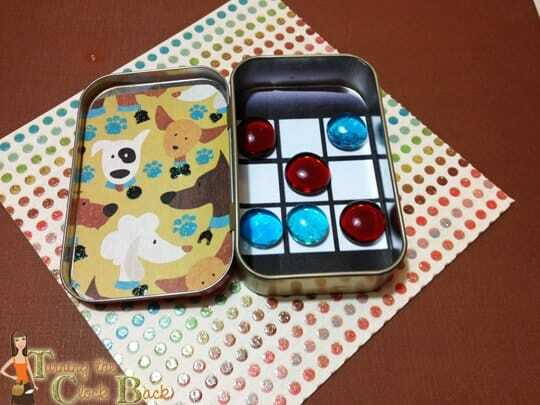 An Altoid Tin Tic Tac Toe game is a great way to keep kids busy in the car! 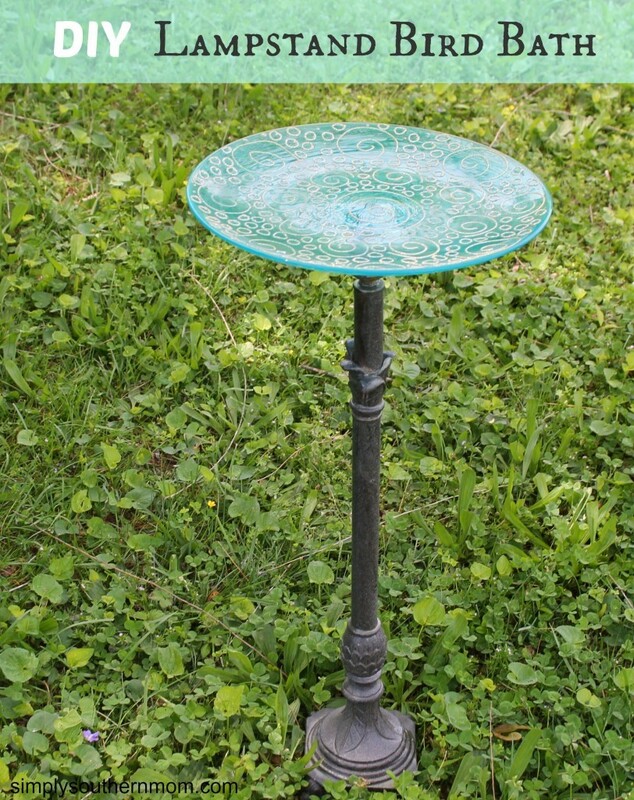 Check out this adorable upcycled solar table light from Simply Southern Mom. Great for outdoor entertaining this summer! 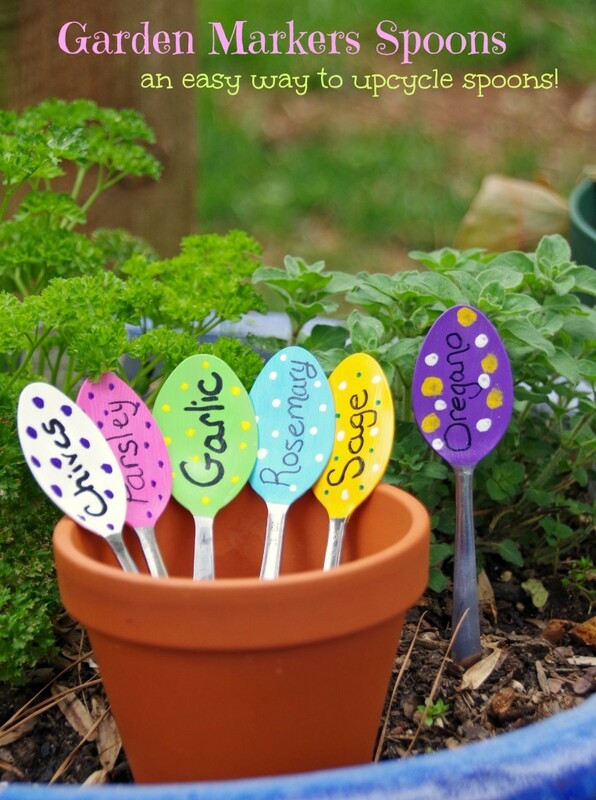 These garden marker spoons will help you remember where you planted your oregano! There are so many eco friendly crafts online to help you live a little bit greener this month. Check out your recycle bin, garage sales, thrift stores or even on Craig’s List for supplies. Do you have any eco friendly craft projects to share? Leave me a link so I can check it out! Thanks so much for including my crafts! I've got to make those spoons and the ladybugs for my garden. Those are adorable! What fun ideas! I love the spoons used as garden markers and the Lady Bug Golf balls! 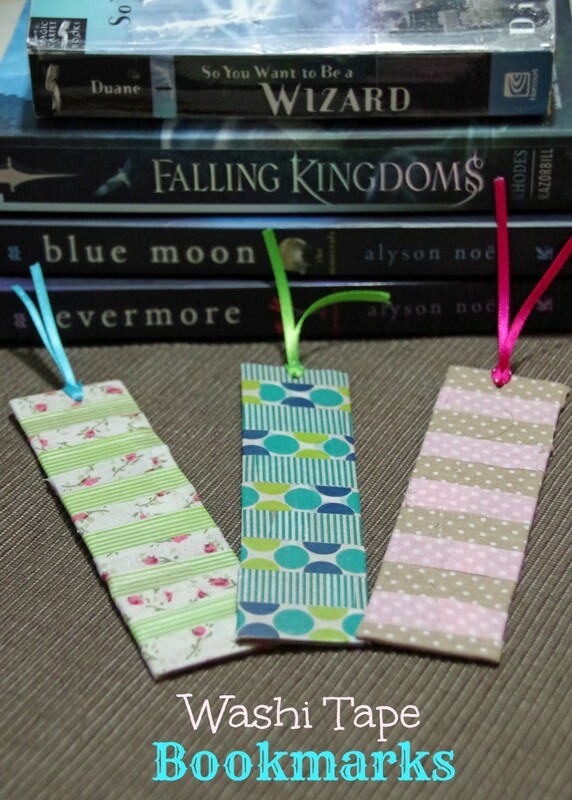 So cute and fun to repurpose something instead of sending it to the landfill! What fun ways to recycle some stuff. My kids would love crafting. These are all great projects. My kids love doing things like this! I haven't had much time to craft lately. I do love those garden spoons though. So pretty! These look like super fun projects! Thanks for some ideas on what I can do during Spring break this week with the kiddos! 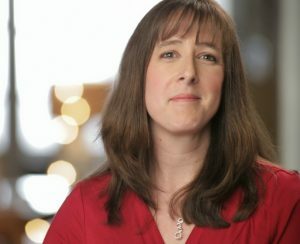 Your post made me want to be a kid again, I remember playing all the time, and never liked store bought toys as much as the one I made myself. Your ideas are creative and beautiful! Im so glad you found them inspiring. Hope you find time to get crafting again!